A few years ago, I made a large quilt — probably the best one I ever produced — and titled it “Swampflower”. It now resides on the bed of my artist-friend Anne Belov, her favorite combination of murky greens and purples with some soft rose and taupe for leavening. An interesting yarn, a 50/50 combination of linen and rayon, spun rather unevenly so it has thin spaces and areas that are thick, almost lumpy. Plenty of sheen due to the rayon, and strong. 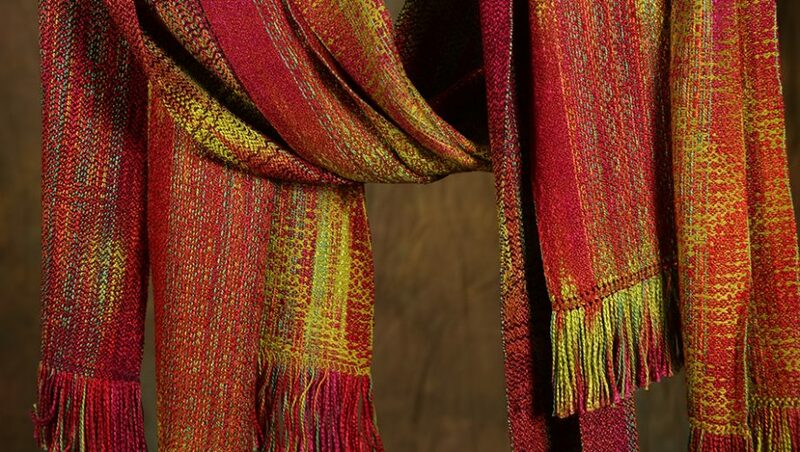 Not appropriate for scarves or shawls, as there’s a moderate amount of plant residue that keeps emerging from it. And oh the colors! Murky, muted, deep, rich. 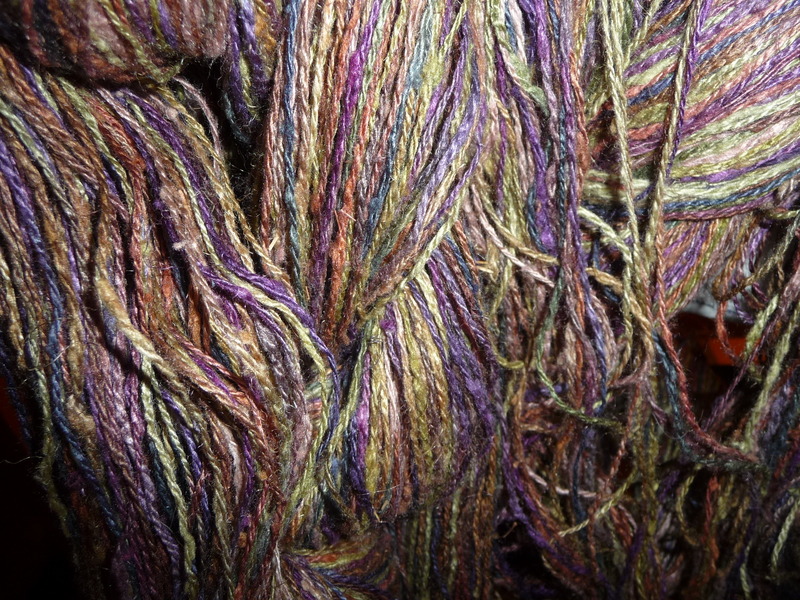 The afternoon sunlight warmed the colors here, as the threads straighten out in the warping process. Now the textures are evident, and will create interesting cloth when woven. It’ll be a group of table runners, something I haven’t even considered making in many years, in three sizes appropriate for different table dimensions. The earthy warp yarn will be a contrast to the smooth shiny tencels and bamboos I’ll use for weft, different colors and different patterns for each runner. Weaving starts tomorrow. The series name — Swampflower. Lovely shades, Ann. Looking forward to seeing these when finished. 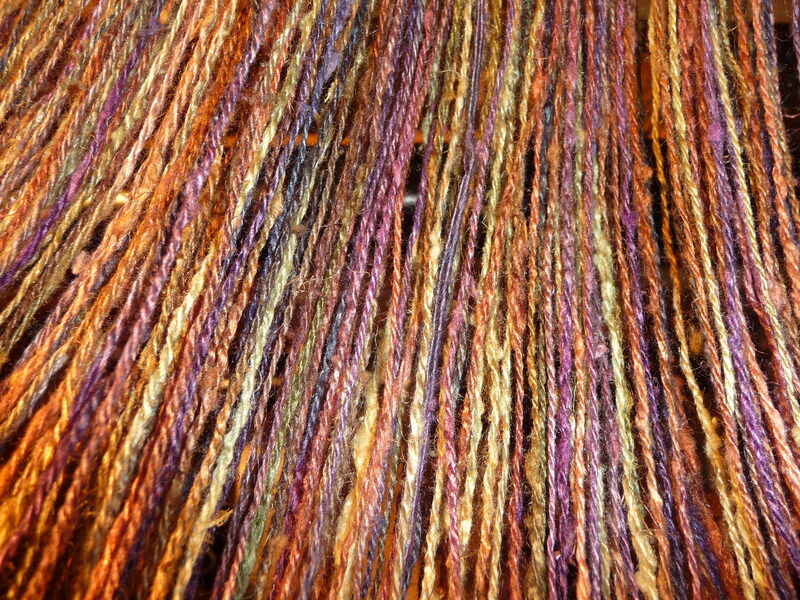 Such different colors emerge on the loom!